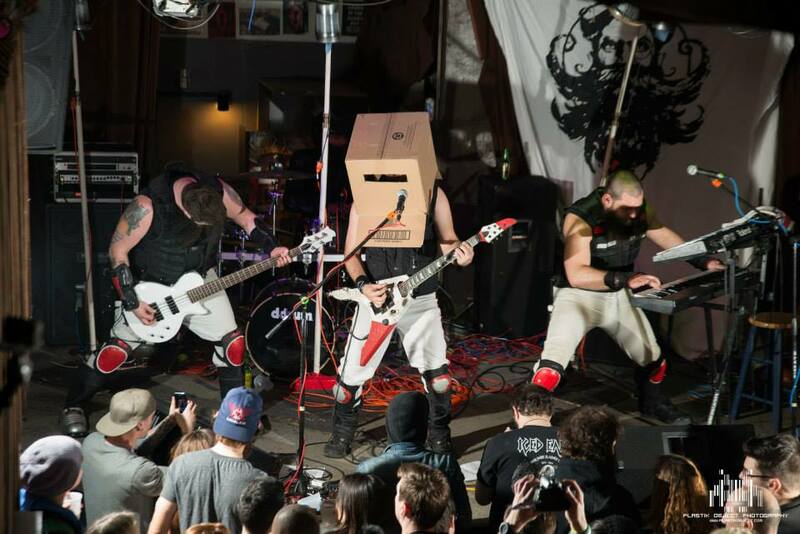 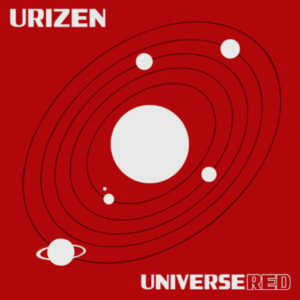 URIZEN’s musical style employs the use of heavy, distorted guitars; frantic, speedy drums; and clean, rock-style vocals. 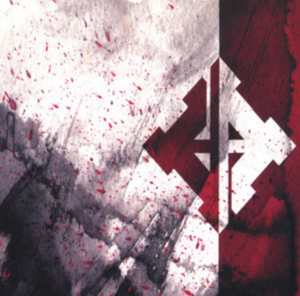 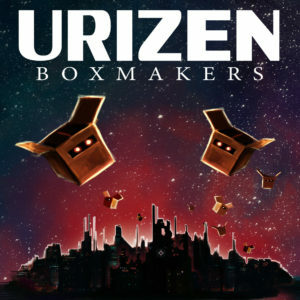 Perhaps the most distinguishing feature of URIZEN’s sound is the dominant presence of synth and keyboards, specifically the use of orchestral strings and 8-bit Nintendo-style electronic sounds. 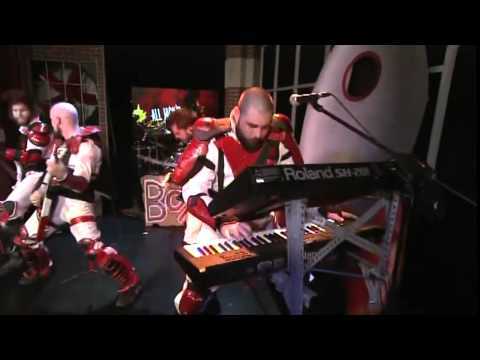 URIZEN is well known for their entertaining and highly involved stage shows, featuring the band dressed in full red-and-white armor-style space suits. 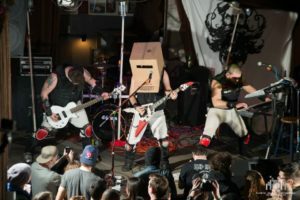 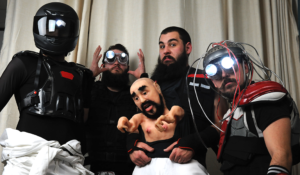 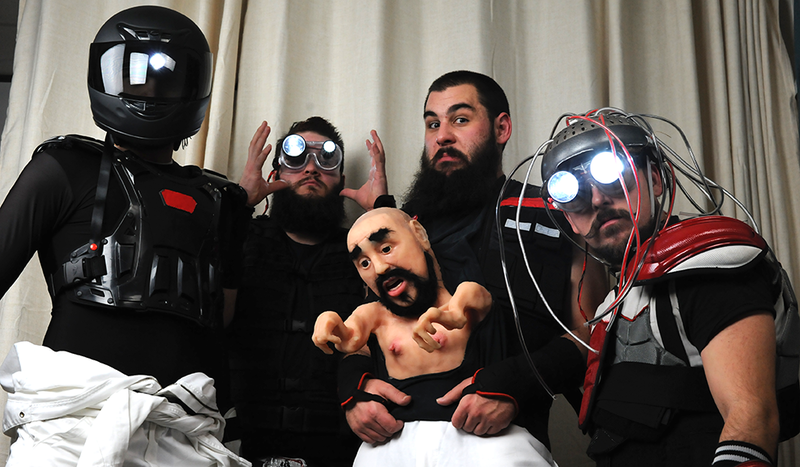 Other features of their stage show include the appearance of a giant, 8-foot-tall URIZEN Robot; a 12-foot inflatable cycloptic goo monster; a custom-created silicone conjoined twin creature; and much more!